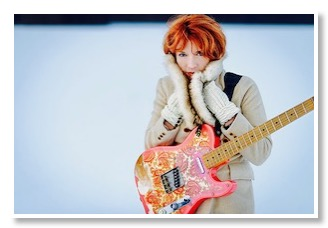 Sue Foley seems to have completed a full lap of her nearly-30-year blues career. In 1990, she first arrived in Austin to record with Clifford Antone’s label, and went on to release two albums: Young Girl Blue in 1992, and Big City Blues in 1995. By 2000, Foley had returned to her native Canada, where her solo and collaborative music kept pace, including the releases of Love Comin’ Down (2002) and New Used Car (2006). However, this Canadian blues guitarist at last returned to Austin in 2016, and she recorded The Ice Queen here. This latest album was released just this past March. Her music has earned awards along the way, including a Juno (for best album) and a record-breaking 17 Maple Blues Awards. Regardless of where she’s been, whether Austin or Ottawa, Foley has always demonstrated both skill and respect through her blues craft. Her skill is sustained in The Ice Queen, which is eclectic enough to include flamenco and swaying R&B, but grounded enough for her fans to recognize her steady blues roots. Foley has evidenced her respect for the art by interviewing female guitarists for her ongoing project Guitar Woman, to better record these women’s contributions. 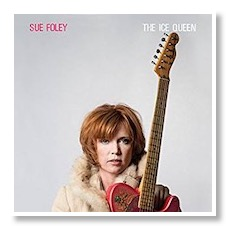 In this interview via email, Foley talks about her continued work in Guitar Women and her recent CD release. Kevin LaTorre: Does the artistic backdrop in Austin bring a different sound to the music recorded there for your new release The Ice Queen? Sue Foley: Absolutely. Austin and its landscape and its specifically, its musical landscape have inspired me for decades. Basically being in Austin and recording in Austin having the Austin sound, and the validation of these great Austin musicians on my album has definitely inspired The Ice Queen, if formed The Ice Queen, it means everything to me. Some of your recent songs include winter imagery, did it have anything to do with living through Austin's hot summers? Not exactly. My winter imagery represents my coming from Canada and my Canadian roots. That always has had a huge impact on who I am as a person, and I love Austin's hot summers, however The Ice Queen is more about my northern roots, my Canadian background and specifically that feeling you get when winter's darkness descends upon you. The album sort of takes us through that journey of when that darkness descends, and our journey back to the light. Can you say how learning to play Flamenco affected your music, both in the playing and the writing of your music? I studied some Flamenco guitar, and though I can't call myself a Flamenco player, its just, Flamenco is an art form until itself and it's a discipline unto itself. I'm still in essence a Blues guitar player, however learning the Flamenco techniques really helped my playing, it helped my rhythm playing. It expanded everything I do musically. I find the two forms Blues and Flamenco really simpatico, they're both improvised musics. They both have that feeling that duende, what they call it, the soul. So, being a Flamenco player, I'll never be obviously, but I'm a Blues player with some Flamenco techniques, and I think it's really opened me up musically. Which blues record do you remember hearing as a youngster? I remember hearing a lot of Blues records, not specifically as a youngster but as a young teen, but my favorite and probably the one that had the most impact on me was an album called Moaning the Blues by Memphis Minnie. Who did Memphis Minnie become for you, musically speaking, once you first heard her? What is it about her music that helped you? Memphis Minnie and her whole mythology, musical and personal, means so much to me still. I still draw from her inspiration every night on stage. I still pay tribute to her every night. She's my favorite artist of all time. For me being a woman guitar player and being a woman Blues guitar player specifically, when I first heard Memphis Minnie it was somebody I could touch, and get inspiration from who'd been there, and who did it long before anybody else. I just think she's one of the most enigmatic figures in Blues, and one of the most daring women in history, and her story continues to inspire me. I always draw fire from it. I wish I could be more like her, I think she's just a great artist. I think she's got a really compelling story, and I think people should know about her. On a worldwide basis, and if that's something I can help with, then it makes my job worth doing. Tell us about which cover songs you played by Precious Bryant, Elizabeth Cotton, or Memphis Minnie, and did this help you as you began your song writing? I love to play Fool Me Good, by Precious Bryant, I always try to reference Elizabeth Cotton's Freight Train, I know it's super popular in [Longown 00:04:38] but people know it, and it always makes people happy and it's a super fun song to play on guitar. I also like to play Elizabeth Cotton's Washington Blues. That's another one I know. I do a variety of Memphis Minnie's songs from in my girlish days, I've been doing Me and My Chauffeur Blues since I started my career. I do Looking the World Over, I do a whole bunch from Memphis Minnie. I'm not sure how much of an effect this had on my song writing per se but it certainly has had an effect on the way I play guitar, and the way I see being a woman playing guitar. Who played on your favorite blues record growing up, and what made them your favorite? Was it the picking or the singing? It's really hard for me to pick a favorite Blues record from my youth. The Best of Muddy Waters was probably a huge album. Little Walter's Hate to See You Go. There was many from T Bone Walker, Clarence Gatemouth Brown, Freddie King, and of course Memphis Minnie and others, Bessie Smith. One thing I always do refer back to besides Memphis Minnie though, I always refer back to the works of Bessie Smith and her Columbia Records Greatest Hits package, or are her Columbia Records Collection package. I just think she's my favorite vocalist of all time, I think everything in Blues and Jazz comes back to Bessie Smith in a lot of ways. So, she kinda wrote the book, I still reference her I still emulate her singing the best I can. I just think she's a genius, and she's just got so much soul, and there's just so much richness there. You can always go back to that. It's like going back to the well and going and getting your sustenance from the real clear water. How do you feel the Guitar Woman Project has helped your music? What are your hopes for it in the future? The Guitar Woman Project keeps me inspired, it's something I started back in 2001 by doing a series of interviews with other women guitar players. I'm now doing a monthly call in for Guitar Player Magazine, called the Foley Files that they are printing excerpts from these interviews. I just think it's really inspiring, I don't think, I'm not trying to prove anything, on any agenda per se. What I'm really trying to do is pay tribute to people who I think are really interesting people. Unique people, I think people who have taken this path, a unique path, generally have something in their character that makes them unique, and I'm trying to draw that out and inspire people with that uniqueness and that courage more than anything else. My plans in the future are to finish the book, to do potentially a one woman show as a tribute to some of the women who have inspired me, and just keep spreading the good word. What do you hope the Guitar Woman Project will eventually do? Like I said in the last question, I think my intention is just to inspire people, to jazz 'em up, to spread the word about players they might not have heard of, and maybe inspire more women to pick up the instrument. It really is an empowering instrument, it's of course empowered men in music for decades, and why shouldn't women join in with that empowerment? It feels great to play guitar, specifically electric guitar, it's wonderful, it's fun, it's empowering, and it's a great way to express yourself, and if I can help more women get into that, that's great. Who would you still like to interview for Guitar Woman, and why? I'd really love to interview Joan Jett, Melissa Oftamar, Joni Mitchell, Chrissy Hind, there's still a bunch of women I haven't been able to catch up with, and that's just because my own schedule got really busy, and I got into other projects. So, I've kinda been going back and forth at this project for over a decade, but those women specifically I think they're really interesting and certainly have had an influence on me. There was a whole bunch more, I mean I could go on. There's a whole bunch of women who've come up in the last few years too, who are really interesting and compelling, and express themselves on the instrument in a unique way. Another one that comes to mind is St. Vincent, Jackie Vincent, there's lots. I've just got more work than I can handle right now. What do you think about performing at the Calgary Festival alongside women like Duffy Bishop, Dawn Tyler Watson and Samantha Martin? I think it's fabulous, I'm a fan of all those women, I think their work is great. I'm not, I love playing with women and I love playing with men. I don't necessarily think we should always just throw all the women together. Even though I'm doing a project called Guitar Woman, that's a specific project but that's meant to inspire women and men, and I love playing alongside men too so, I think sometimes they try to always pull us all together. If we can do anything for ourselves, it would probably be to just shake us out of any categorization and just be inspiring, be happy, and be passionate, and play music together. Men, women, kids, whatever. I'm really looking forward to being in Calgary anyway.